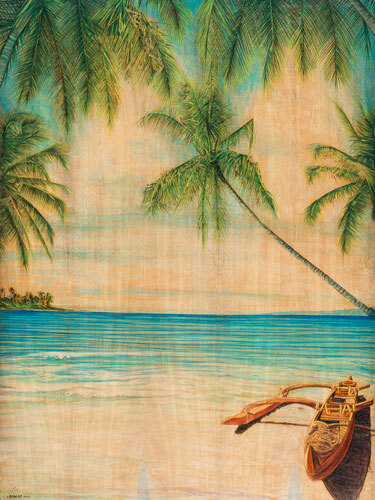 Medium: Oil and Pyrography on Mango wood. 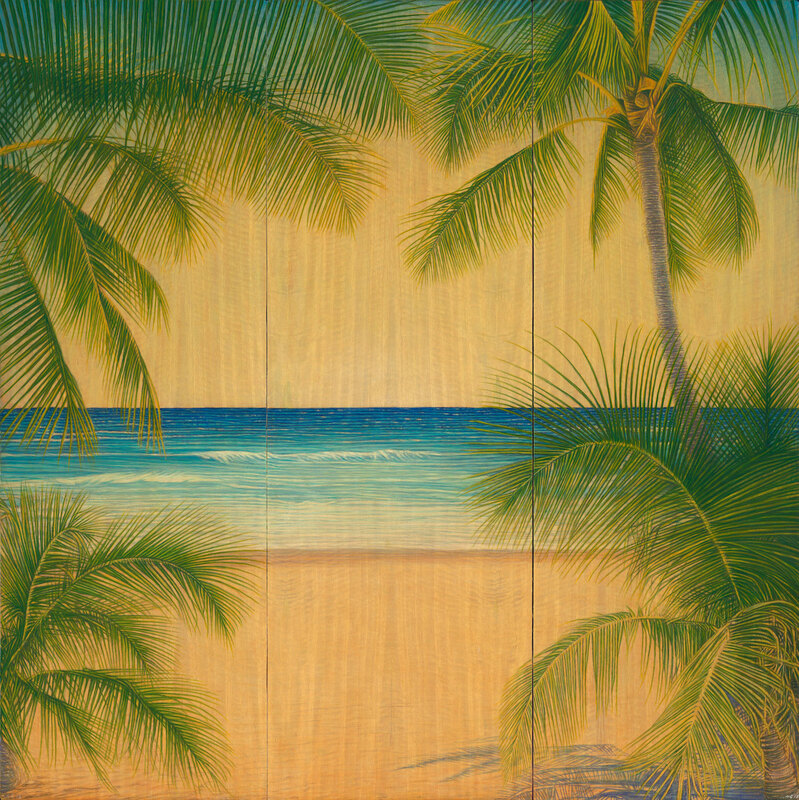 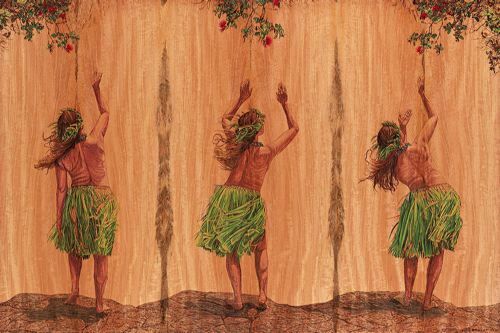 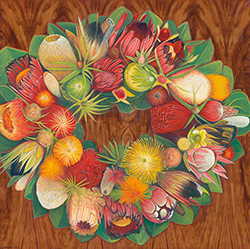 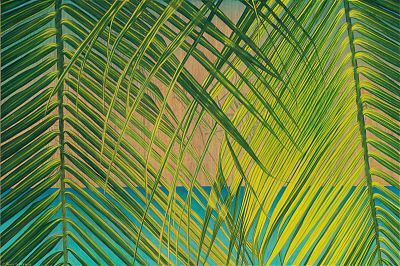 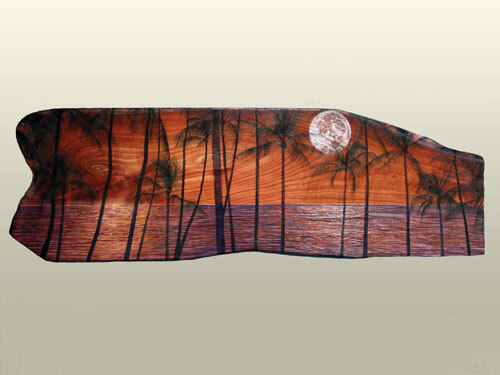 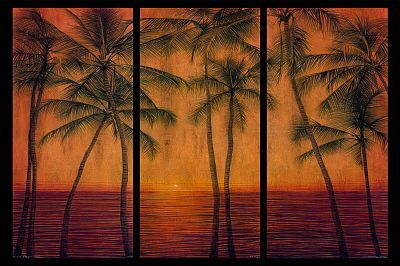 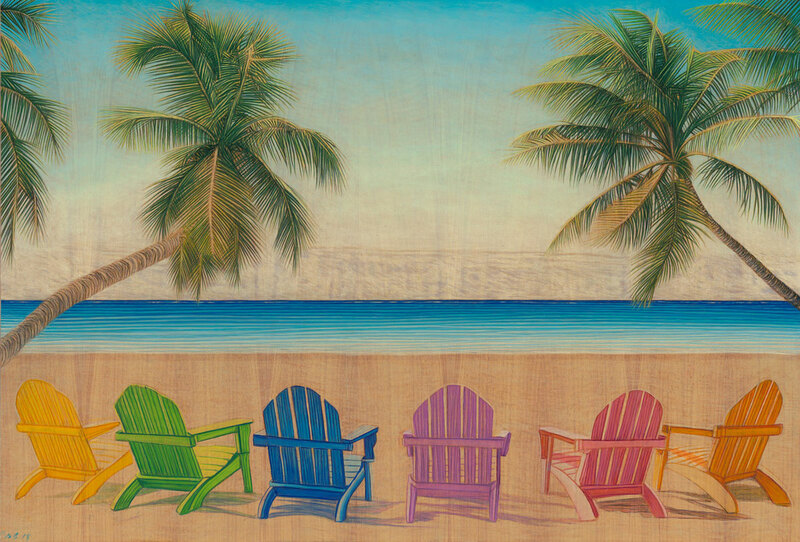 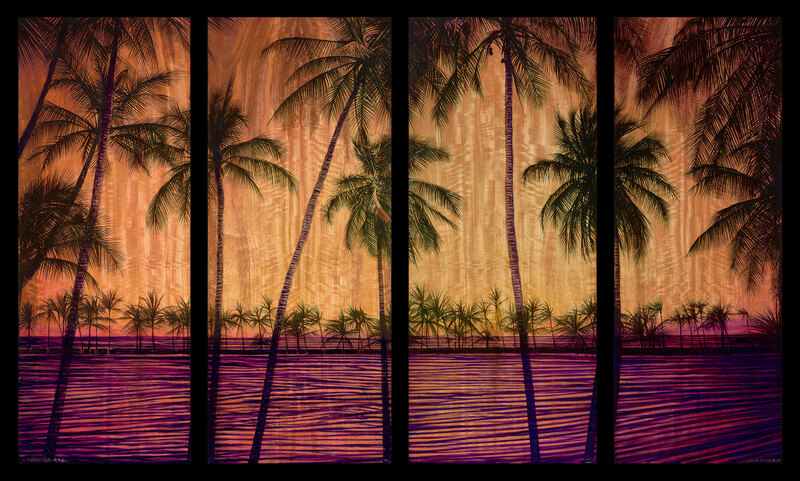 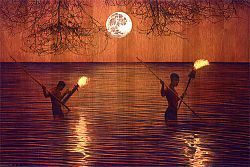 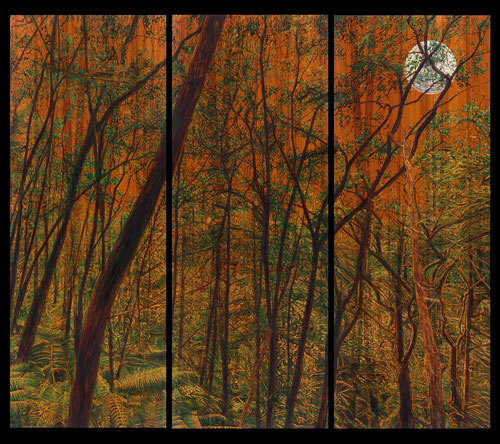 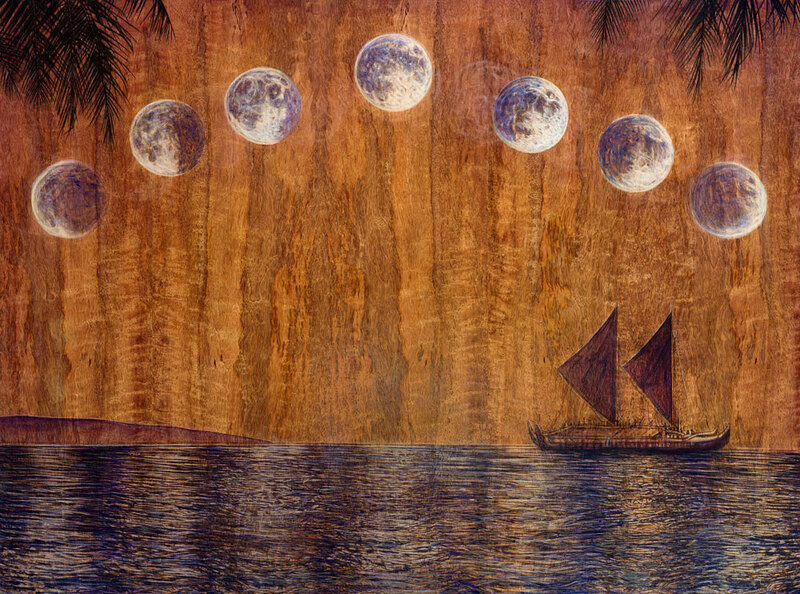 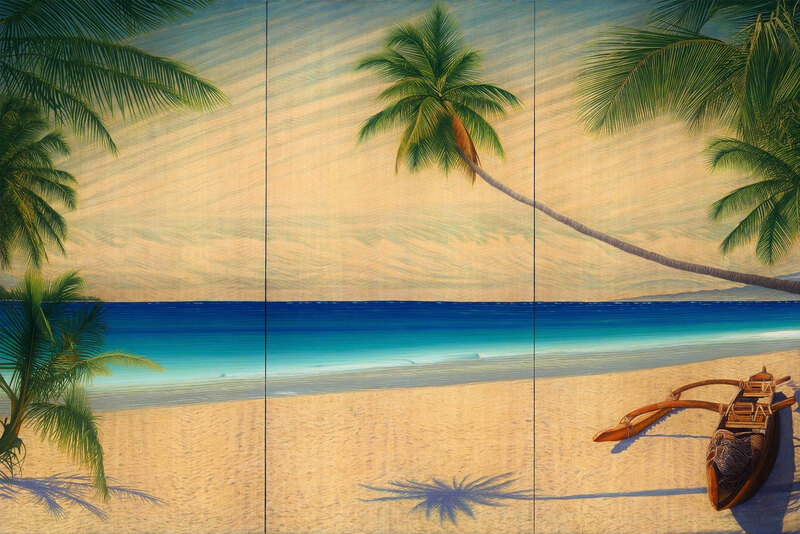 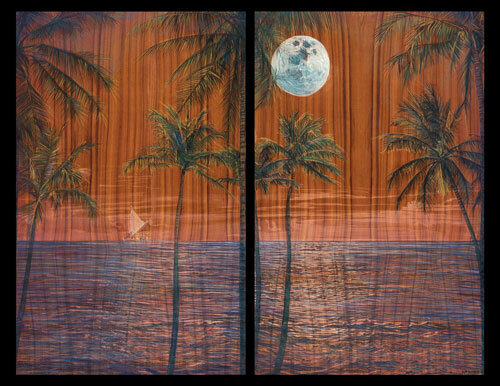 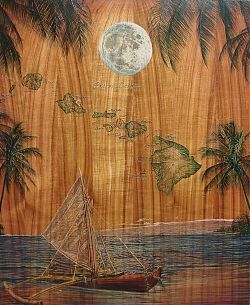 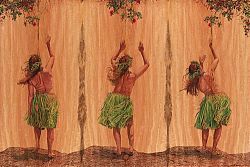 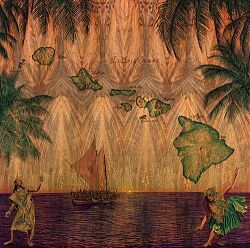 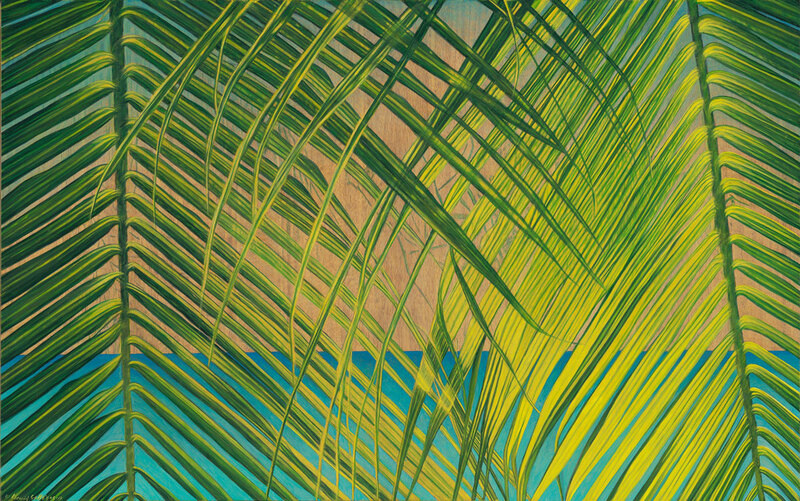 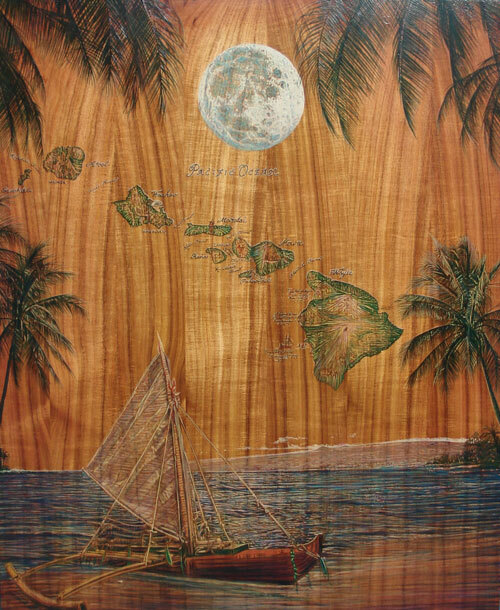 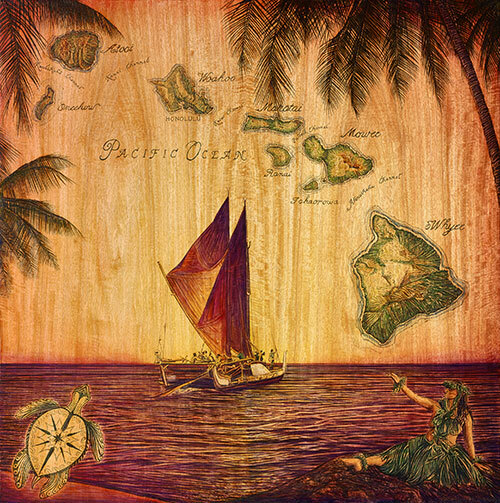 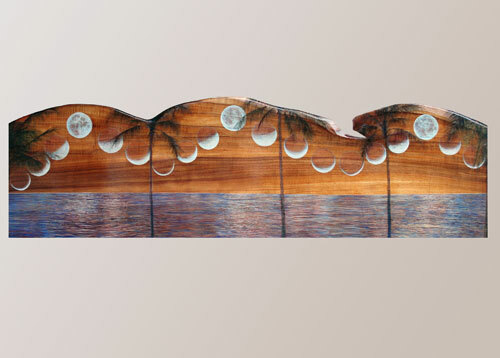 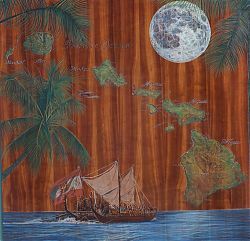 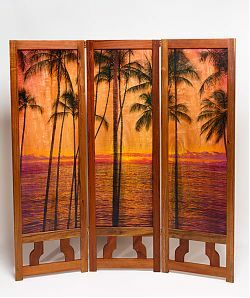 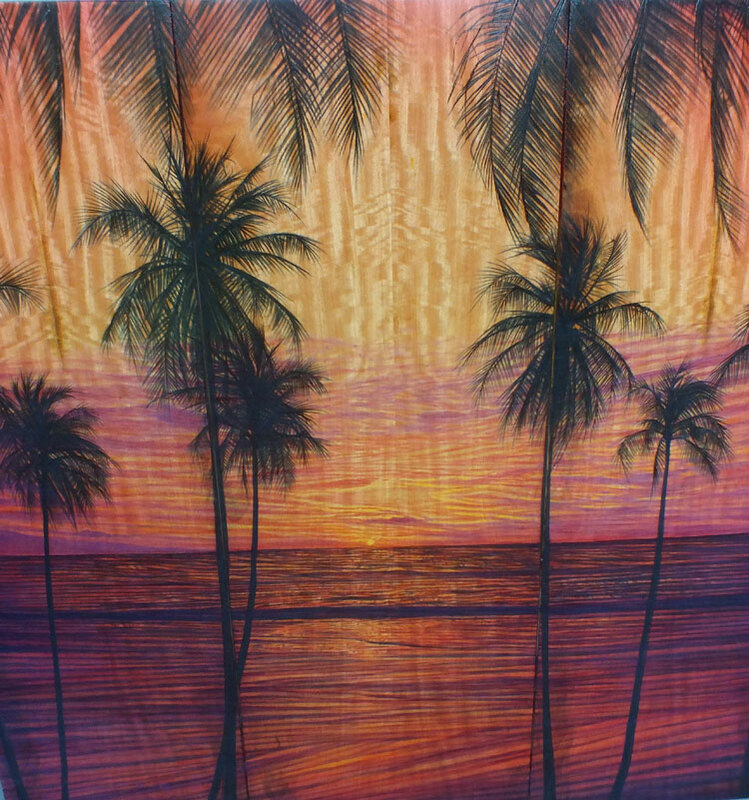 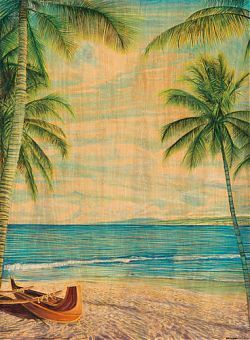 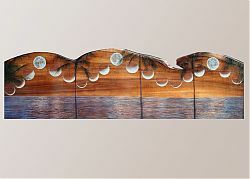 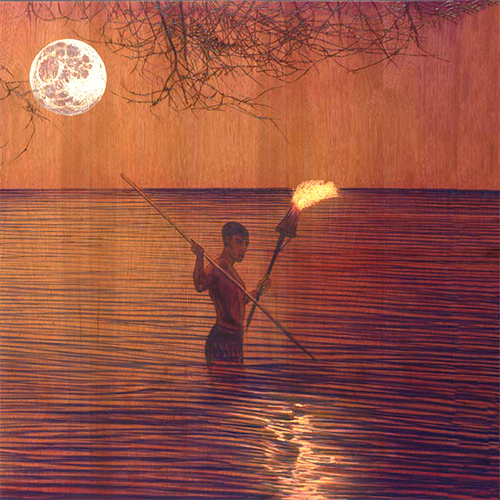 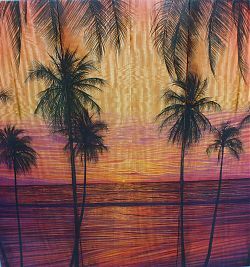 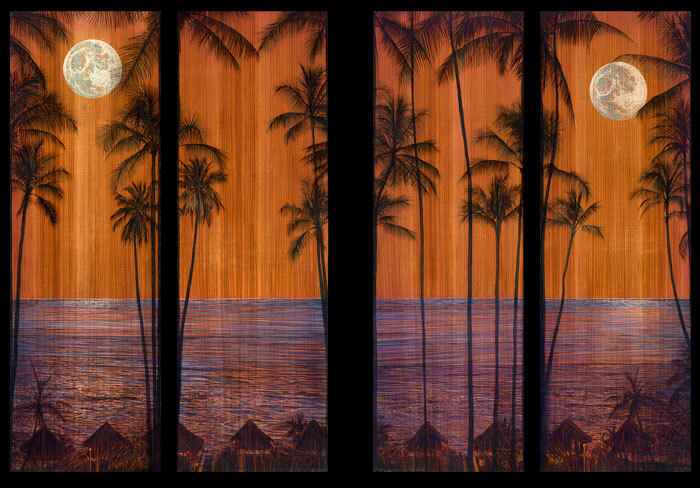 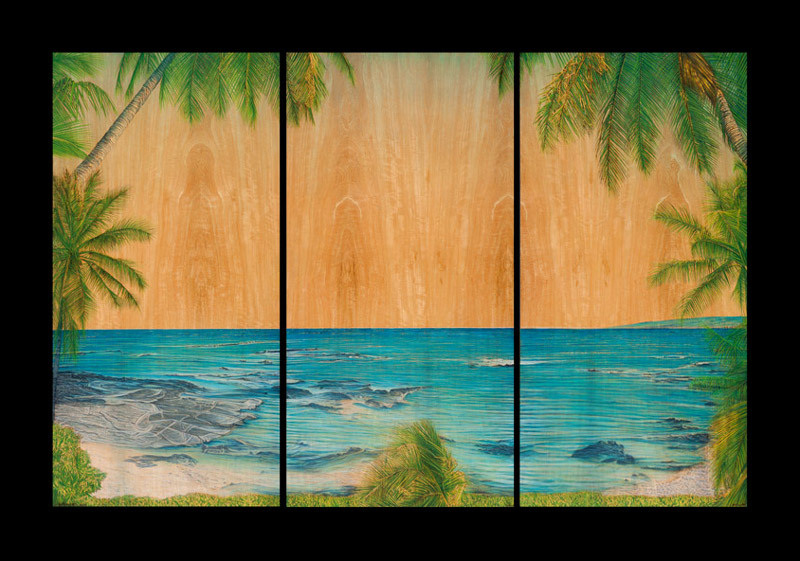 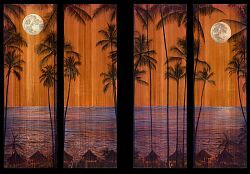 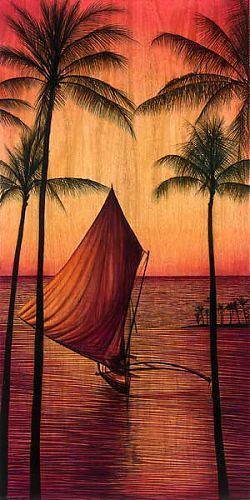 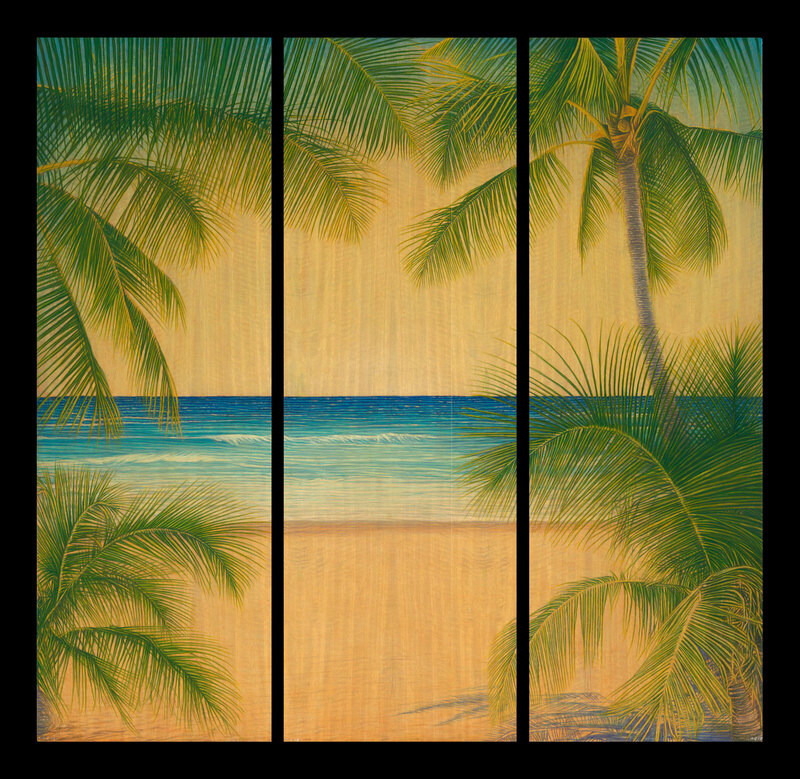 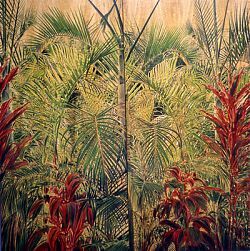 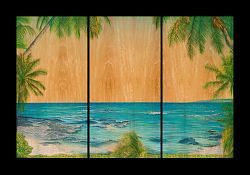 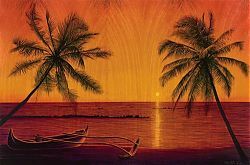 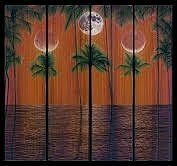 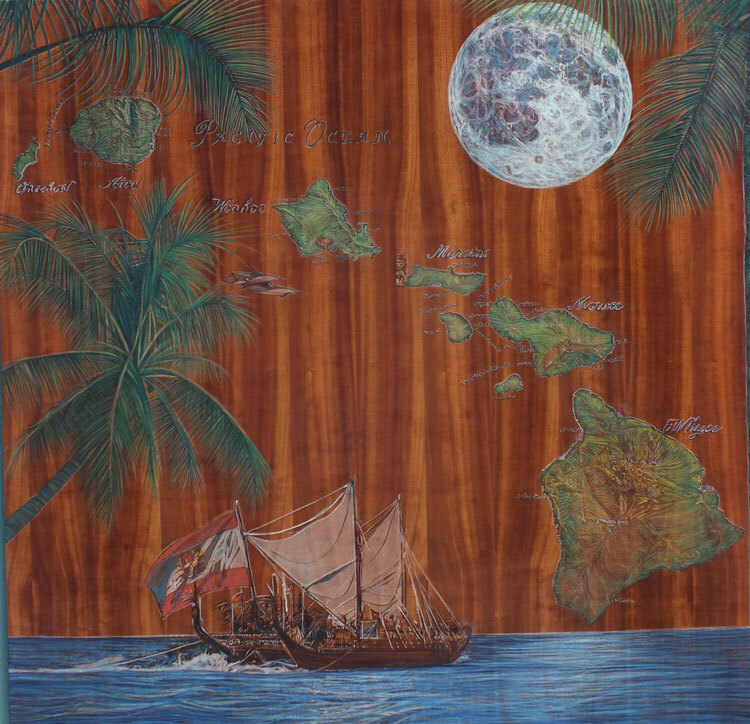 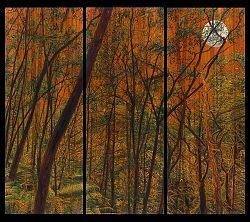 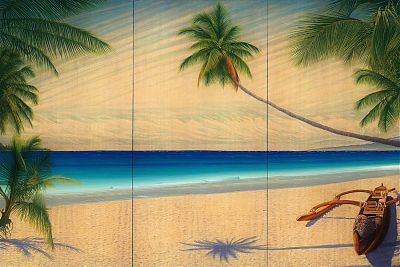 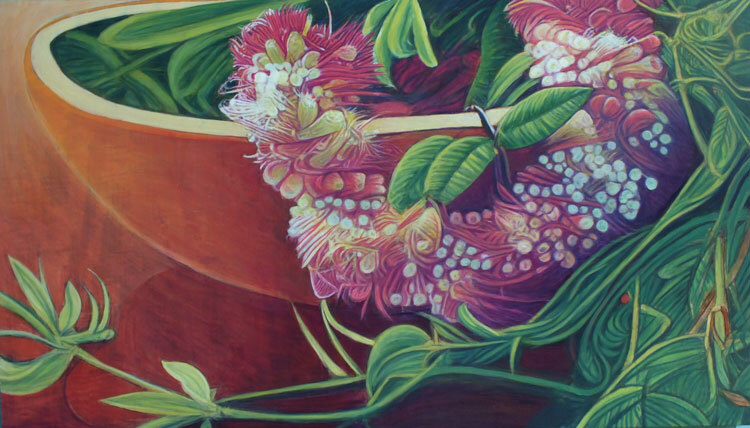 "Anaehoomalu Bay Sunset - Quartet"
"Pu'ukohola Moon rise and Hokulea"
"Tetrad - Blood red Moon"
Pyrography and Oil on Mango wood – Sold – Available in Giclee. 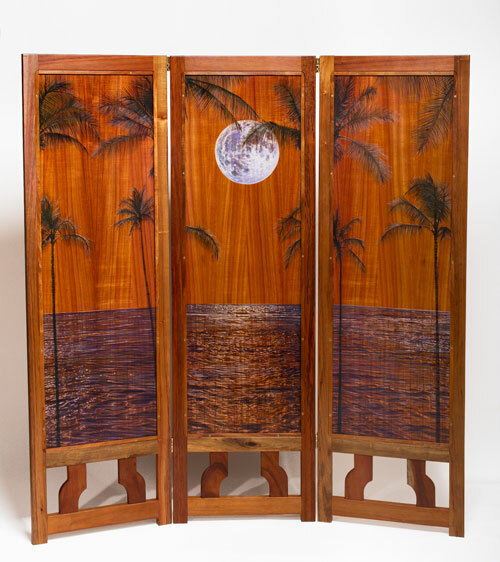 "Koa Wood Shoji Screen - Moonrise Side"
"Koa Wood Shoji Screen - Sunset Side"
"Hawaiian Canoe with Palms #2 -2013"
"Hawaiian Canoe with Palms 2013"
"Moon set Palms with Hokulea -2013"
"GurreLieder - The Song of the Wood Dove - Homage to Schoenberg"
"Homage to Vivaldi - Spring"
Wood burned oil painting on Koa.